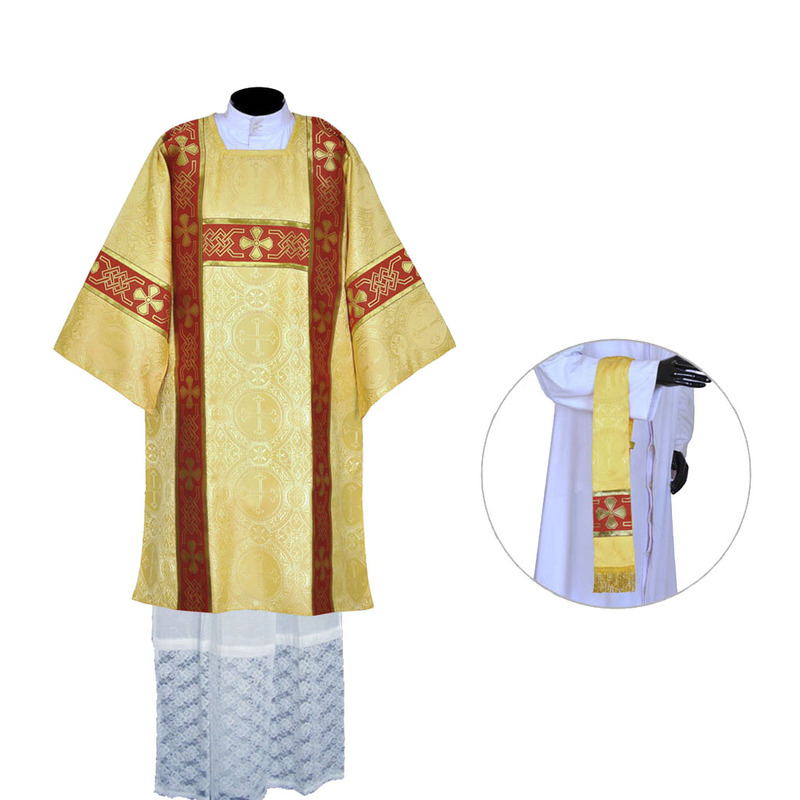 The vestment is made of Damask Fabric with Cross Designs. The St. Andrews orphreys (also called "M" orphreys) are made of high quality polyester braids. 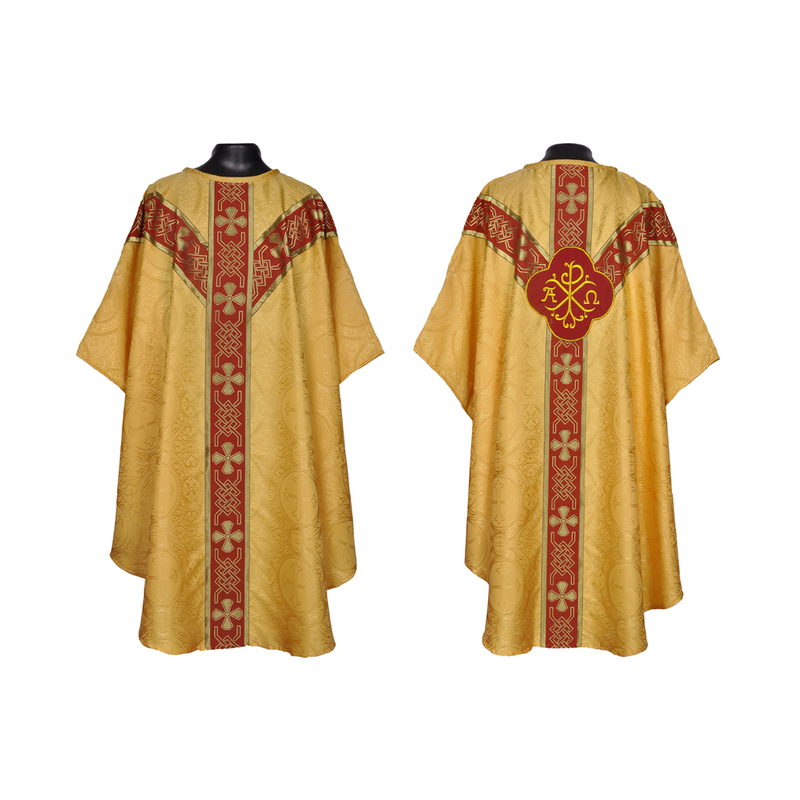 The vestment has Agnus Dei motif on both sides - Front & Back. 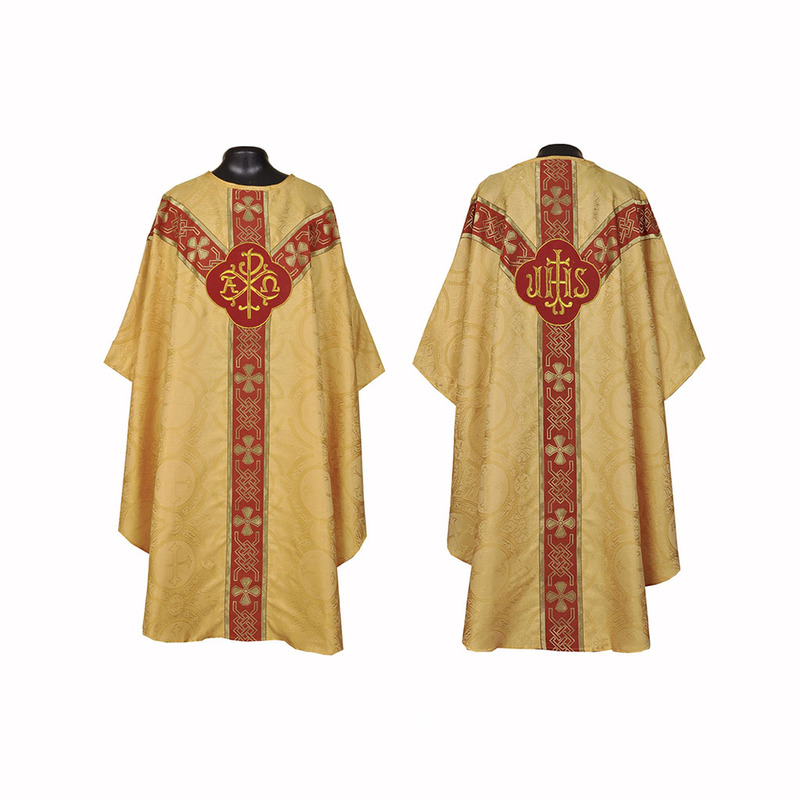 The entire mass set including the stole are embroidered with IHS embroidery.